MiCSHA would like to thank all of the participants in the 2015 Conference, “Connecting with Kids through School Health”, including attendees, presenters, speakers, and sponsors. We hope you found the event to be educational, applicable and enjoyable! If you are interested in any of the presentation slides or handouts, simply click on the link for presenters-handouts from the menu above. Some of the materials are still being submitted but many are there for your immediate use. All will be posted to this site as soon as they are received. Again, thank you for your valuable time sharing in our conference. We look forward to working with you in the future. The conference theme encompassed leadership, partnership and programming in schools to meet the needs of the whole child, ultimately ensuring academic success. This includes social-emotional and physical health. This event was designed to bring coordinated school health teams (teachers, support staff, administrators, parents) together to ensure academic success. Presenter Handouts – View the handouts provided by 2015 presenters. Our first Coordinated School Health Conference, “Connecting with Kids through School Health” was held June 18-19, 2015 at Boyne Highlands Resort. Our conference theme encompassed leadership, partnership and programming in schools to meet the needs of the whole child, ultimately ensuring academic success. This includes social emotional and physical health, as well as environmental and school climate indicators. 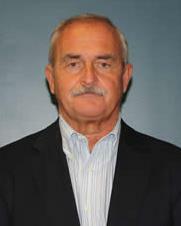 David Spurlock, Coordinator of Health, Physical Education, Athletics, ROTC, and Wellness in the Charleston County School District in South Carolina, is hailed as “one of the titans of physical education in the US,” by Harvard Medical School researcher and author Dr. John Ratey, “he is one of the biggest reformers in this country.” Spurlock, a retired coach and PE teacher, is now an experienced presenter, who is regularly asked to speak at conferences, throughout the country, on how the integration of daily physical activity improves learning and behavior. His practical application of movement in the classroom is currently a subject of research by The Medical University of South Carolina and Johns Hopkins University School of Medicine. MiCSHA is recognized and supported as the leader in advancing Coordinated School Health to promote the health, safety, and academic achievement of Michigan youth. MiCSHA provides the leadership, advocacy, and collaboration to support effective Coordinated School Health policies, programs, and practices.